When I was asked to put together a post about traditional food in Lithuania, I felt quite challenged. First of all, I think we don't have any national food as such. Did we invent potatoes? No. Did we invent minced meat? Of course not. Our cuisine has been influenced by other world cuisines, so, rather than speaking of national food, I will tell about traditional food, a.k.a. food a tourist must try. This post was originally commissioned as a guest post but I have decided to keep it after all the heart I had to put into writing it. 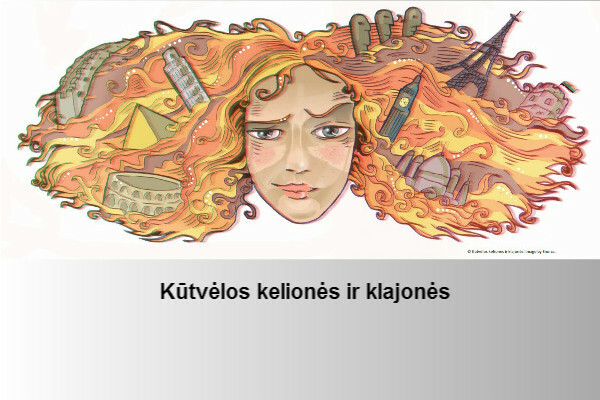 Importantly, Lithuania has several ethnographic regions, each bringing something special in the world of cooking. Here you can see the map showing this division. 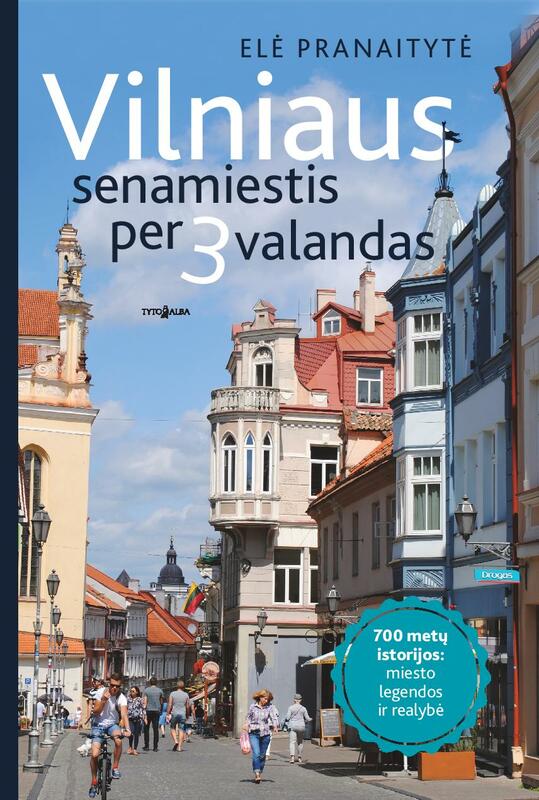 The capital city Vilnius is now considered to be in Aukštaitija. The region of Aukštaitija is known for simple food and seasonal varieties. Rye bread is the thing we buy as a gift to our hosts when travelling abroad and when visiting friends who have left Lithuania. When we ask them what to bring, they say "Bread, just bring the bread!" as if England or Norway suddenly stopped baking that. It is because our brown bread is very, very good and delicious. Forest goods like mushrooms or berries have their important role in food preparation. Potato dishes are popular: zeppelins, potato pie, potato pancakes, potato sausage. Mead has long traditions of being made when people found out how to harvest wild bees. A few words about the dishes. Zeppelins a.k.a. potato dumplings are made from grated potatoes and usually stuffed with minced meat, although sometimes dry cottage cheese (curd) or mushrooms are used instead.So named because their shape resembles that of a Zeppelin airship.After boiling, they are served with sour cream sauce and cracklings. Potato pie kugelis is is a baked potato pudding, basically. The main ingredients are potatoes, bacon, milk, onions, and eggs. It may be spiced with salt, black pepper, bay leaves, and/or marjoram. It is usually eaten with berry preserve, sour cream, or cracklings. Jewish variety includes chicken pieces.Potato sausage vėdarai is a sausage, made of a potato stuffed large intestine of a domestic pig. Yes, that's right. I stopped eating them the moment I found out. 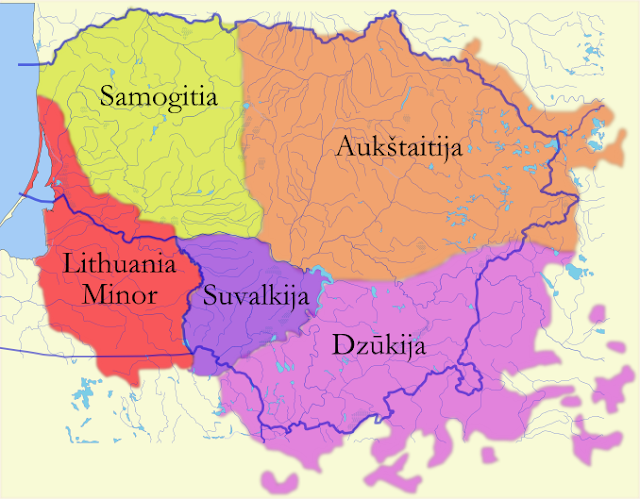 Samogitia is the second largest ethnographical region in Lithuania. They boast a number of dishes, including cold beetroot soup šaltibarščiai. The recipe is as simple as it can get: 2 cooked red beets, peeled and coarsely grated; 2 fresh cucumbers, finely cut; 2 hard boiled eggs; 100 g (6 tablespoons) sour cream; 1 l (4 cups) sour milk or butter milk; cup boiled water; 8 sprigs fresh dill, finely chopped; 1 cup scallion greens, finely hopped; salt to taste. Crush egg yolks with scallion greens and salt. Add cucumber, finely chopped egg whites, sour cream, sour milk or butter milk, beets and 1 cup of boiled but chilled water. Mix well. Serve in individual bowls sprinkled with dill, with hot potatoes. Other must-tries are: herring dishes, sour cream butter kastinys, sauerkraut, and zeppelins (one cannot escape that in Lithuania). The third ethnographic region of Dzūkija has the largest compilation of forests in the country. People have skilled themselves at making a variety of mushroom dishes: mushroom soup, mushroom cheese, mushroom pickles, stewed mushrooms, mushroom pies, etc,etc. They also know how to prepare different game dishes (e.g. rabbits), buckwheat pancakes, porridge and soups. The fourth ethnographic region is Suvalkija. This region boasts meat produce, including skilandis, it is made of a pig's stomach stuffed with salted, garlic-flavored minced meat and bacon. Its traditional drink is homemade wine from black currants. Of course, people eat different fish, poultry dishes and pies. Lithuania Minor is now where Kalinigrad Oblast lies, but some of the historic land does get into the map of Lithuania. This region has been influenced by the German culture and breakfast was not a proper one without kafija, that is, coffee. People ate different soups, scrambled egg dishes, chicken. The traditional soup is called juka and it is a soup with blood (henceforth, another one I have no appetite to try). The following websites were used to prepare this information. Thank you for reading this. Feel free to leave a comment or two.